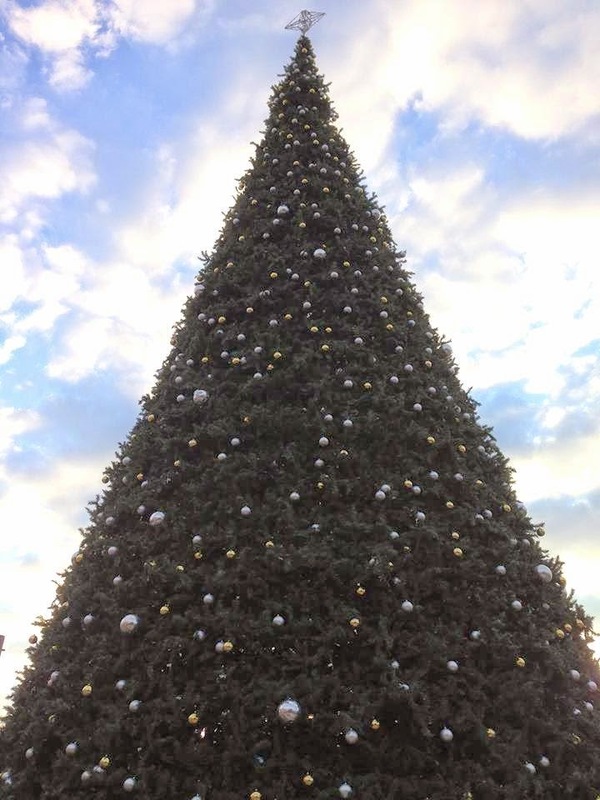 A 60-foot ginormous Christmas tree at Six Flags Fiesta Texas. This Christmas Tree is truly Texas-sized for sure! 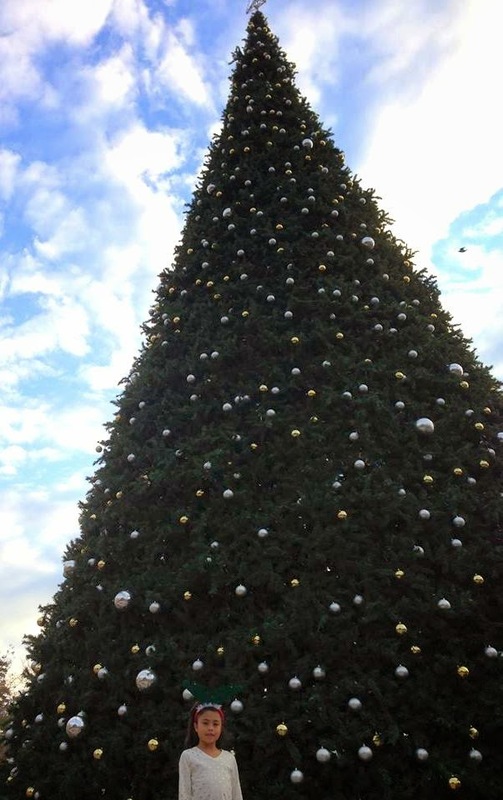 Towering a wonderful 60 feet over Rockville, this large tree is the staple of your holiday dreamland. One of the largest Christmas trees around is adorned with thousands sparkling lights, twinkling ornaments, and glistening gifts underneath. The dazzling display comes to life nightly, and the brilliant decorations magically light up the heart of the park. And this is how the tree looks like at night!